Founded by electrical engineers that were looking for ways to make tools that helped their fellow engineers, SynaptiCAD aims to help engineers create perfect designs. Since 1992, we have strived to become a company that creates "tools for the thinking mind". This drives all of the interfaces of our tools. 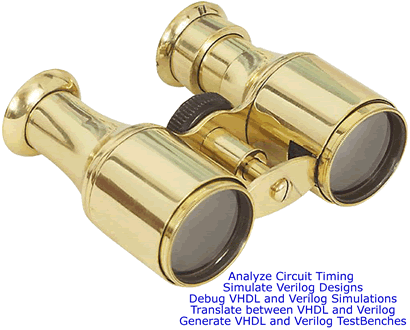 Created to help you simulate and debug your Verilog and VHDL designs, VeriLogger Pro and BugHunter Pro will help any engineer verify their design. Our tools are proven to reduce simulation debug time, and our unique timing diagram interface makes unit level testing a breeze. 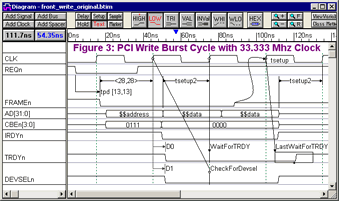 Need a timing diagram editor that will help you analyze timing, create professional documentation, and generate Verilog and VHDL test benches? Then pick from one of our three timing diagram editors for the feature set that meets your needs. Having trouble visualizing complicated verification models? Try TestBencher Pro! You can graphically model bus transactions and then apply them dynamically based on on-going simulation results. Contact our team to learn more about our time-saving products.